Login as user with admin role. Click on Dashboard on the left side menu. 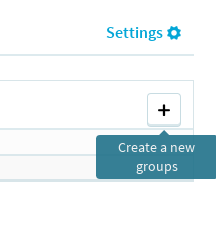 Click on Groups section on the secondary menu. Click on '+' button on right panel. The following screenshot shows the group creation page. Name is the display name for your group. This should be a name that allows users to easily recognize your group. 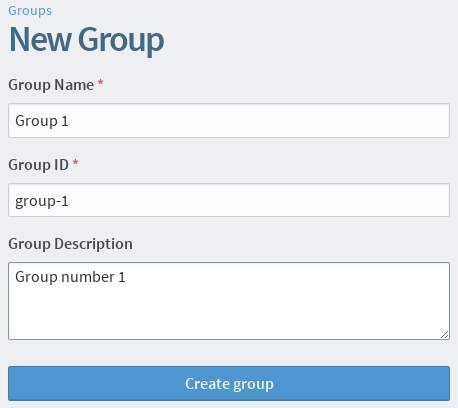 Group ID is a unique identifier for your group that will be used in the group's URL. It accepts only letters, numbers, periods, hyphens and underscores, and cannot contain any spaces. A short description to provide a little more information for users to identify your group.